"Giclée" (pronounced by saying "Gee" and then "Clay") means fine art ink jet print. Giclée provides many advantages. Reproductions can be made full-scale to the original and will also have a textured finish, just as the originals do. My reproductions are printed on heavy-duty canvas and are stretched and attached to a high-quality gallery-wrapped frame. One of the benefits of my Giclée reproductions is that they are printed on-demand to your specific customizations. Any size you need can be accommodated. Most of my works are available as prints or can be fully reproduced on gallery-stretched canvas. Visit the gallery or contact me with any questions you may have. Let's work together. 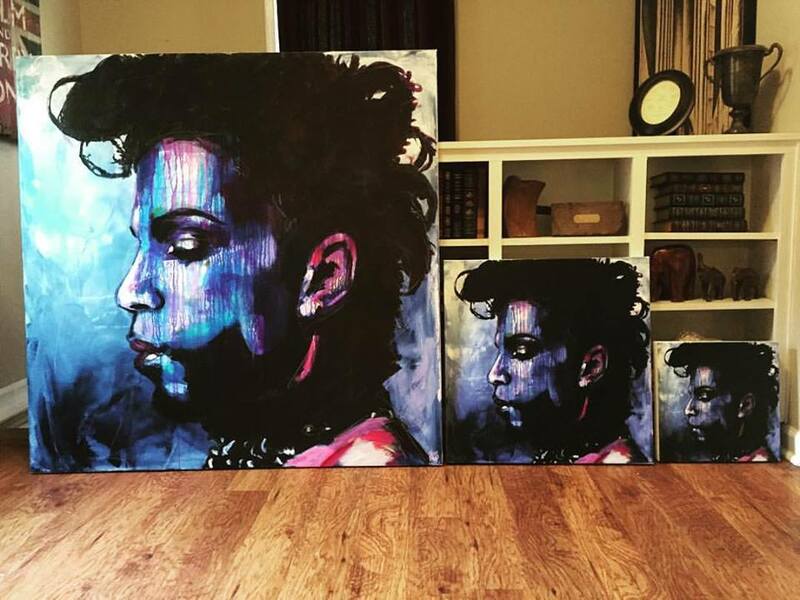 Three sizes of "Purple Rain." Giclees can be made in any size to fit your space. Pictured: Not me. This is a 36 x 45 giclee on canvas reproduction of my Blue Willie Nelson that is hanging at 3 Elements Chiropractic in Franklin, TN. 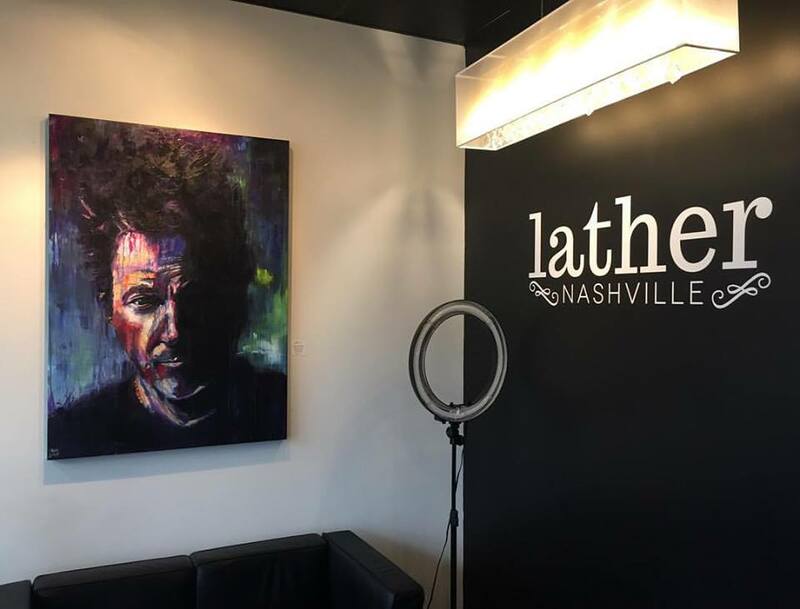 Bruce Springsteen hanging out at Lather in Nashville. You can see the textures in the reflection of the lights. WIllie Nelson reproduction hanging in a private residence in Blowing Rock, NC. This was given as a Father's Day present.